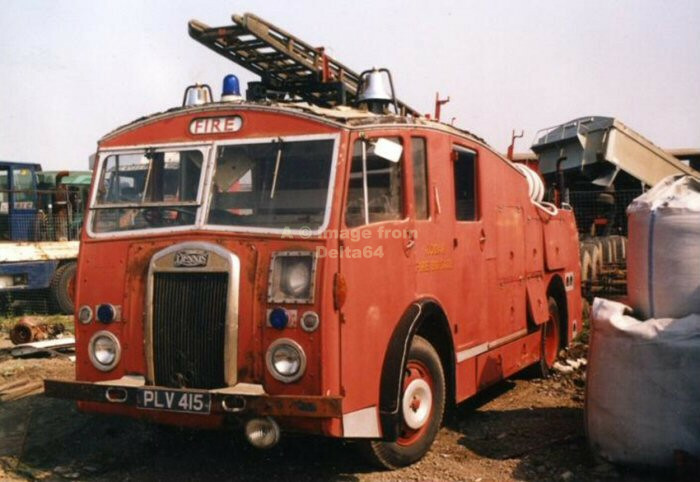 Based at the former Durning Road Fire Station, Denniss F12 PLV415 is currently undergoing restoration. 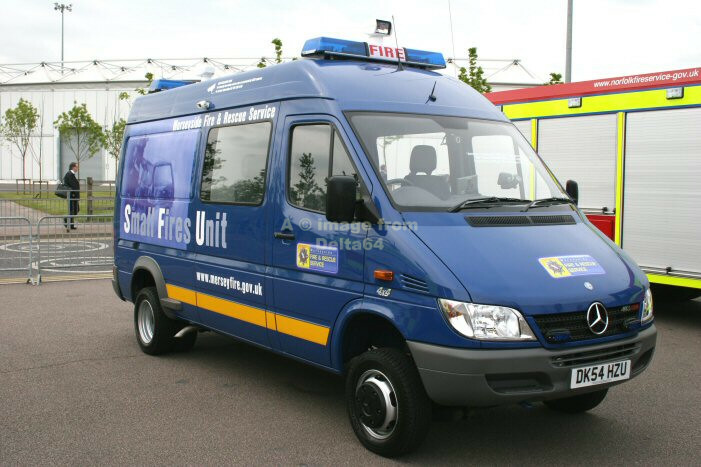 the Chubb Pacesetter was never officially accepted by the brigade. 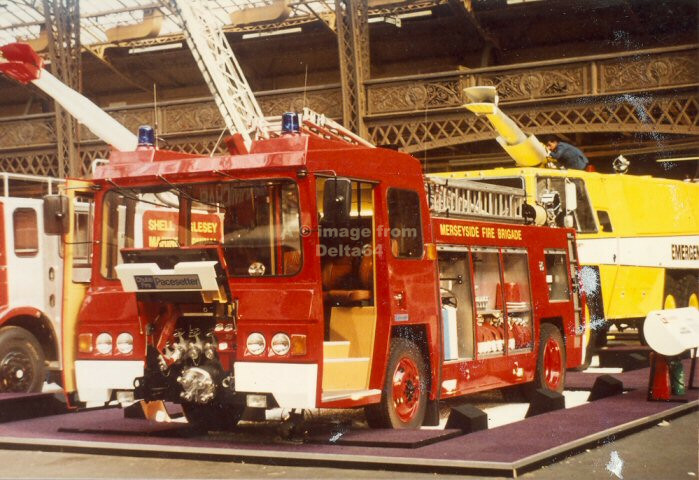 It was seen at Olympia in 1975. 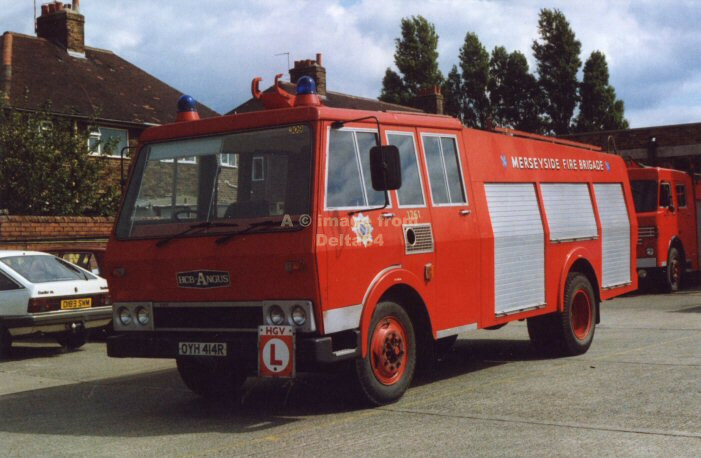 Bedford TKG OYH414R was seen in the yard at Banks Road, 25 August 1990. 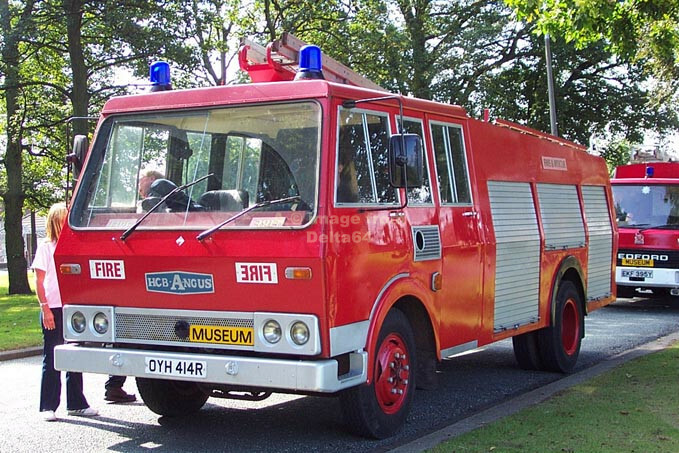 After service with the brigade, OYH414R passed to the museum. 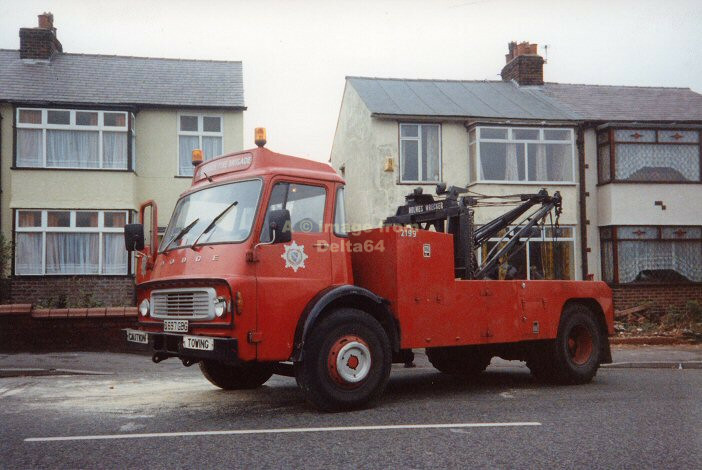 It was seen in Allerton in 2002. 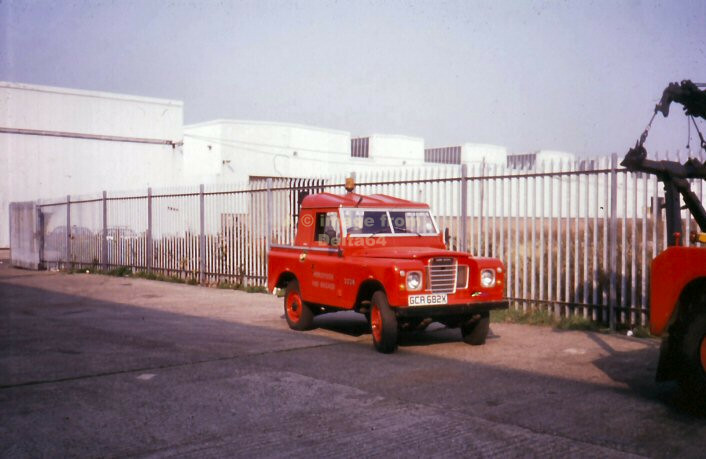 Land Rover Recovery Vehicle GCA682X [fleetnumber 2224] outside Speke workshops. 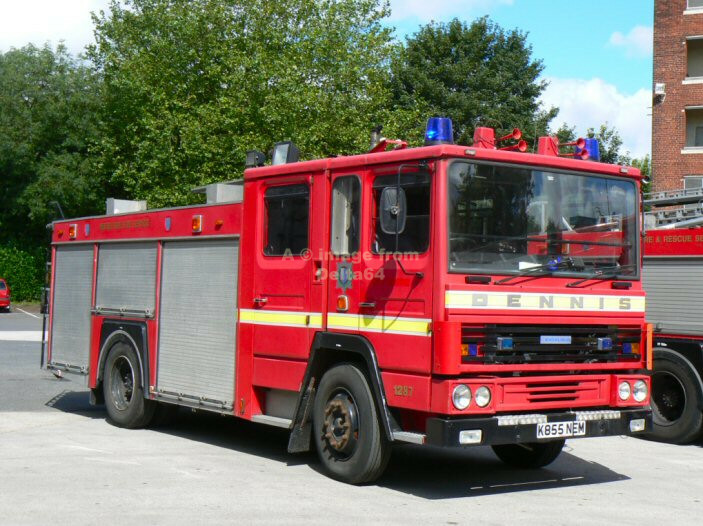 Dennis SS K855NEM has been allocated to the Fire Cadets. It was seen in the yard at St. Helens, 30 July 2007. 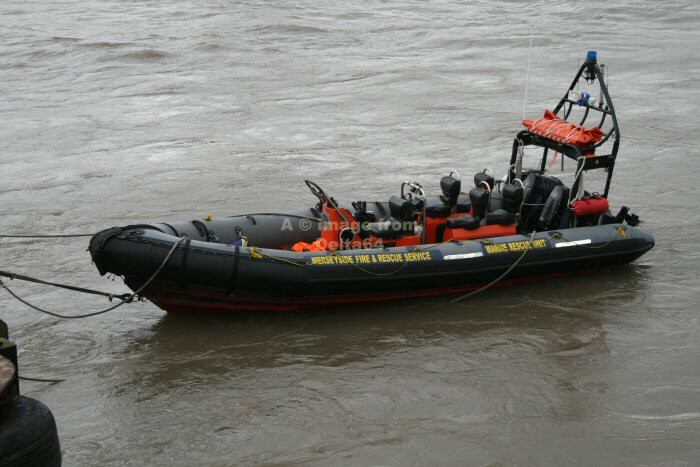 'MARINE FIRE 1' the Marine Rescue Boat seen at Woodside Ferry Terminal, 25 March 2008. 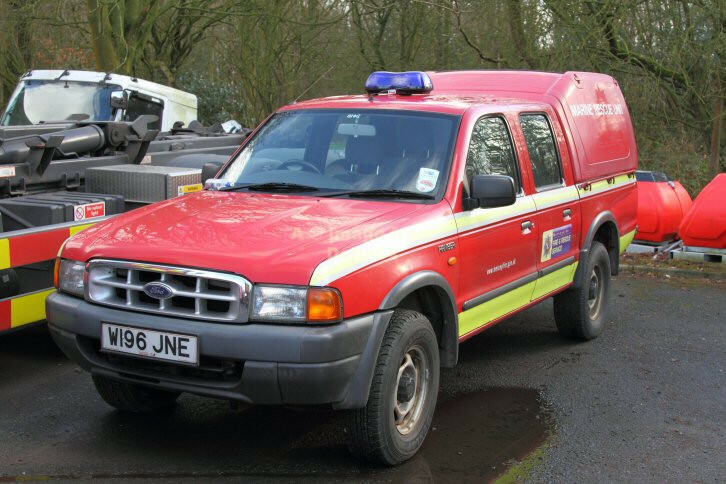 Ford Ranger W196JNE is also part of the Marine Rescue Unit and was seen at Washington Hall, Lancashire, 12 February 2011.
it was exhibited at FireExpo2005 at the N.E.C. Birmingham, 16 May 2005. 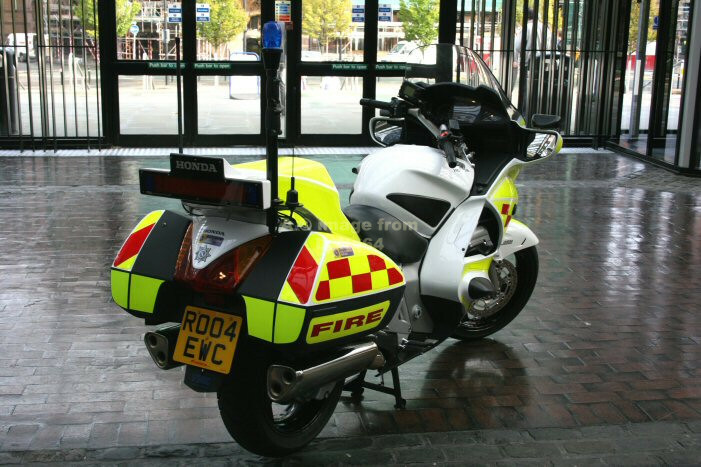 It was further exhibited at Fire2005 at G-Mex Manchester when seen 2 November 2005.
during major roadworks. 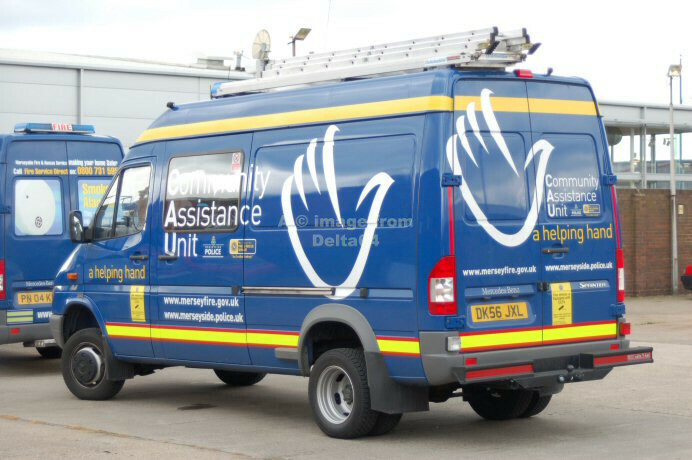 In particular it attends Automatice Fire Alarms. 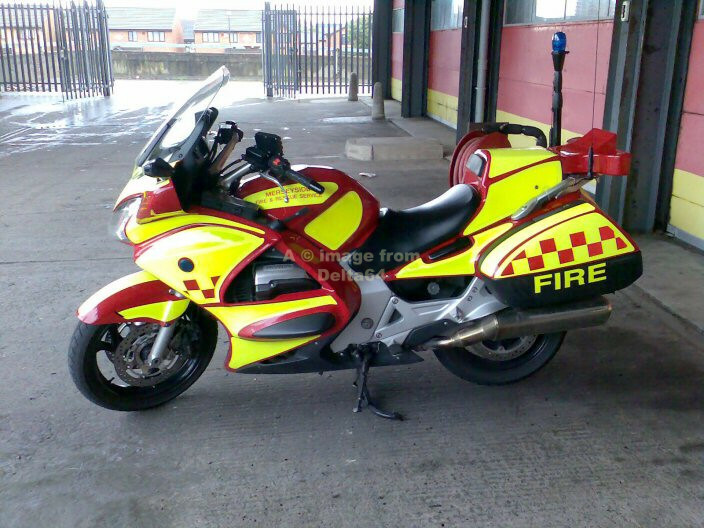 Merseyside's second Honda 1300 Fire Bike RE54MSO was seen at Birkenhead, 14 August 2007. 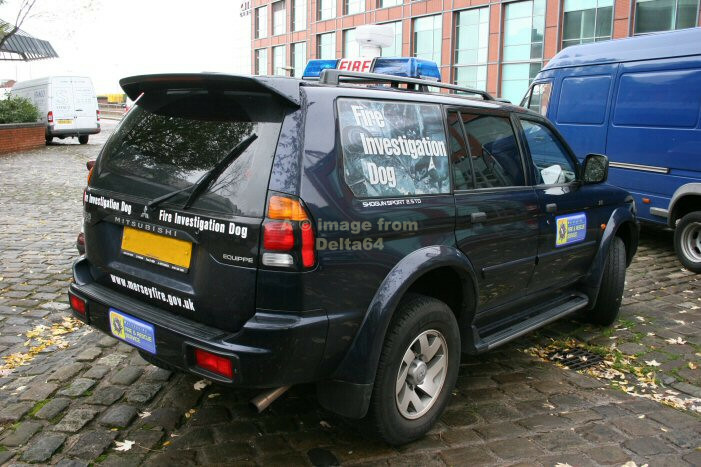 Parked outside G-Mex, Manchester, was the Fire Investigation Dog Van, 2 November 2005. 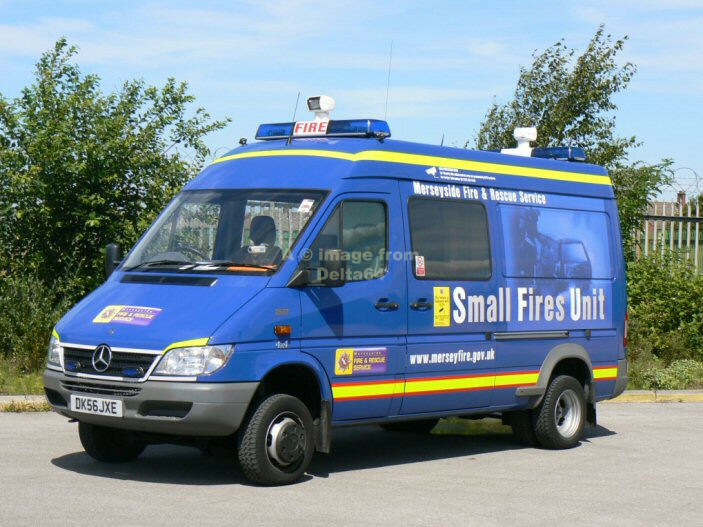 Small Fires Units DK54HZU and DK56JXE were both seen at Headquarters. 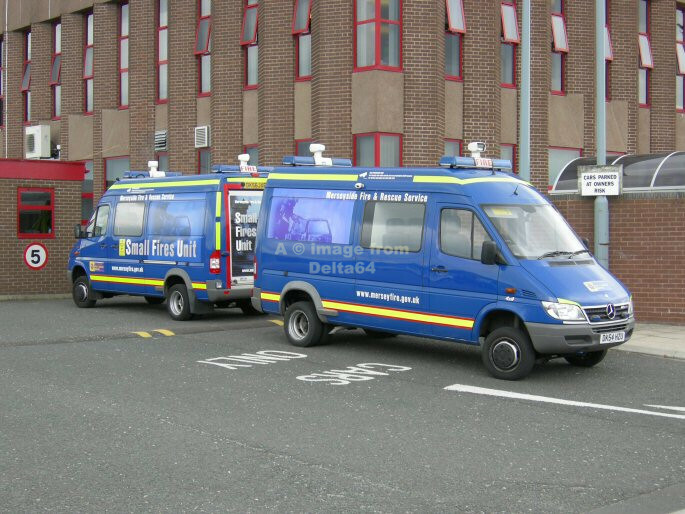 Merseyside operates the first Rehab Unit 'COOLVAN' DK56JXF in the country. 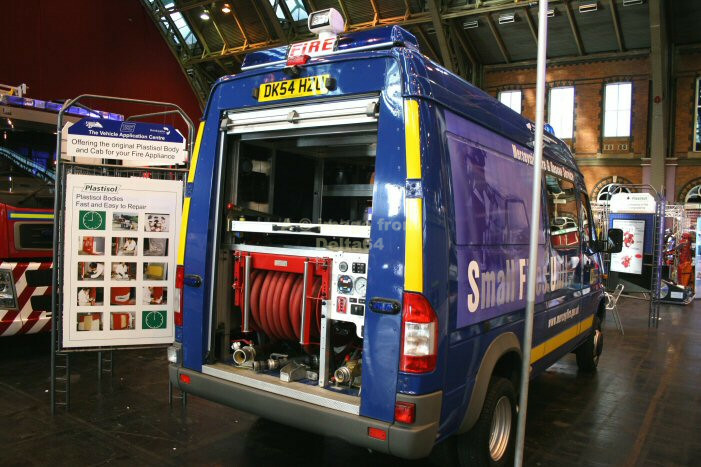 It's primary purpose is to aid firefighters overcome by heat to recover more quickly. 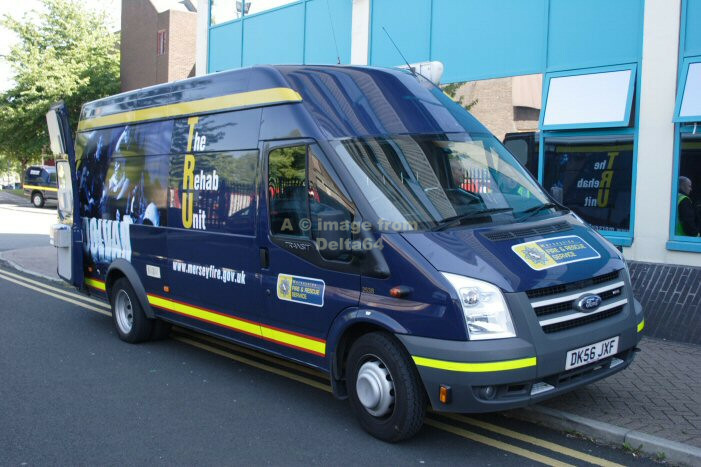 It was seen in Kirkby, 24 June 2009.
which operates in conjuction with Merseyside Police. 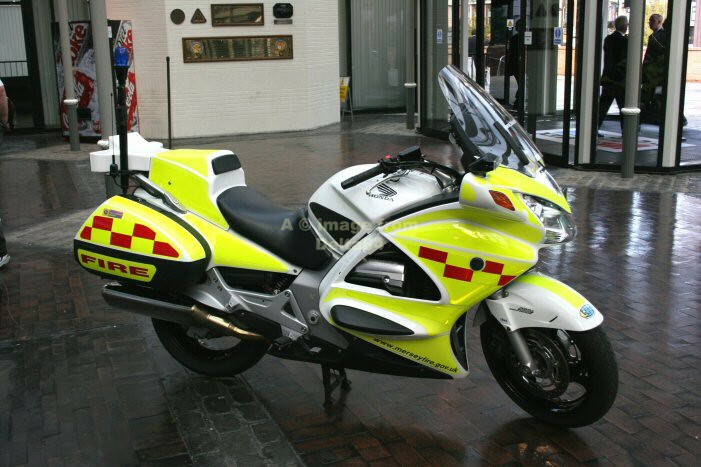 It was seen at Kirkdale, 23 September 2007. 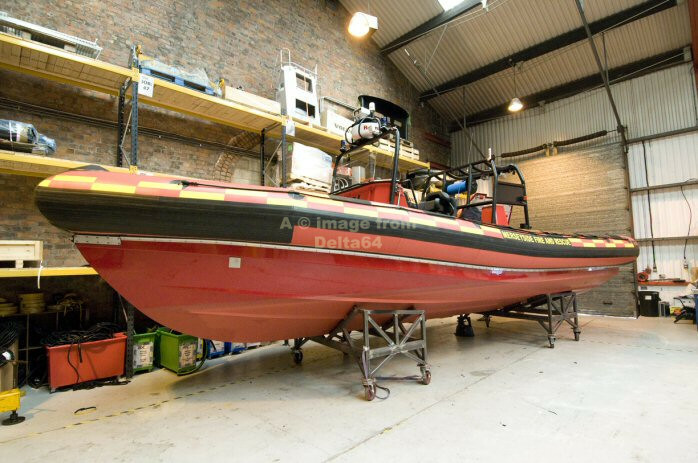 The new Rescue Boat was seen whilst in build. 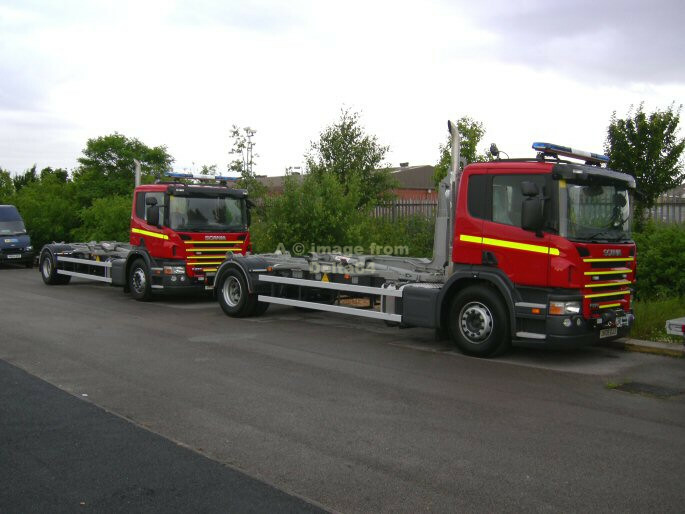 New Scania Prime Movers DK08GJJ and DK08GJO were seen at Headquarters in June 2008.